Using instruments primarily bought with loose change, the Ukulele Orchestra of Great Britain is a group of all- singing, all-strumming players who believe that every genre of music is available for reinterpretation, so long as they are played on the ukulele. The orchestra uses the limitations of the instrument to create a musical freedom that reveals unsuspected musical insights. 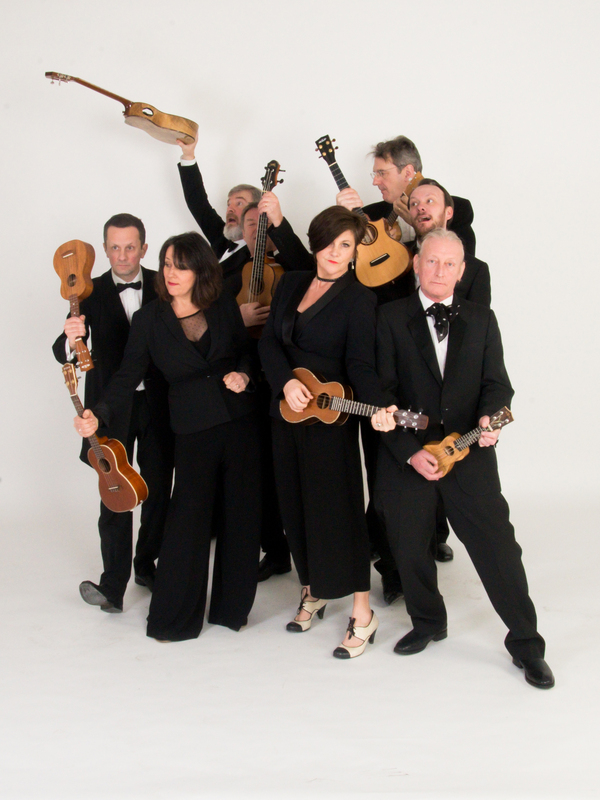 As Mondavi Center audiences know very well, a concert by “the Ukes” is a funny, virtuosic, twanging, awesome, foot-stomping party of rock ’n’ roll and melodious entertainment, featuring only the “bonsai guitar” and a menagerie of voices.